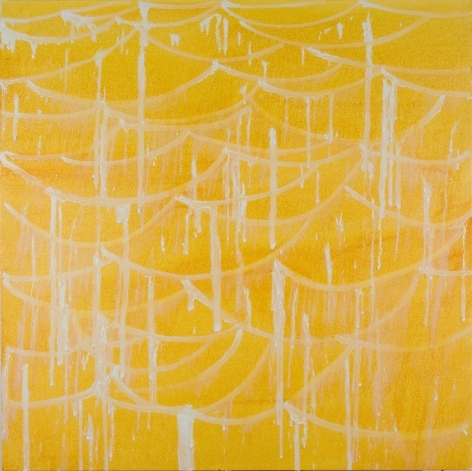 JONATHAN FERRARA GALLERY is proud to announce its representation of artist MARGARET EVANGELINE. 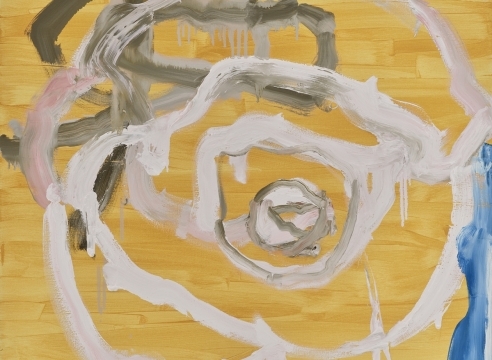 To celebrate her inception, the gallery is presenting an installation of her abstract paintings in the centre gallery. The exhibition will be on view from 5 June through 25 July 2015 with an opening reception on Saturday, 6 June from 6-9pm. 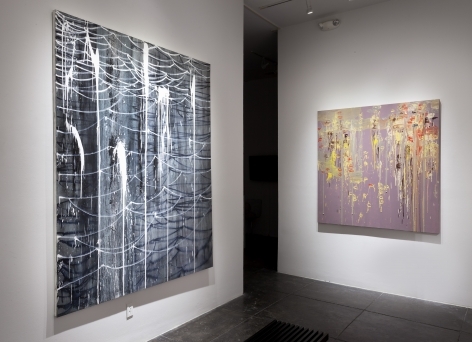 Margaret Evangeline is a contemporary painter, sculptor, and installation artist who lives and works in New York City. She was the first female recipient of an MFA in Fine Arts from the University of New Orleans in 1978. Shortly thereafter, she began exhibiting at Galerie Simonne Stern and teaching at Delgado Community College, where she pioneered the school’s first fine arts program. 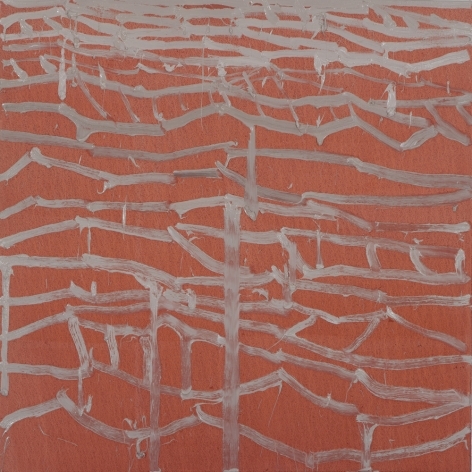 It was during this time that Evangeline’s interest in using unconventional and aesthetically resistant materials emerged in her painting, a technique that has come to define her formal practice. 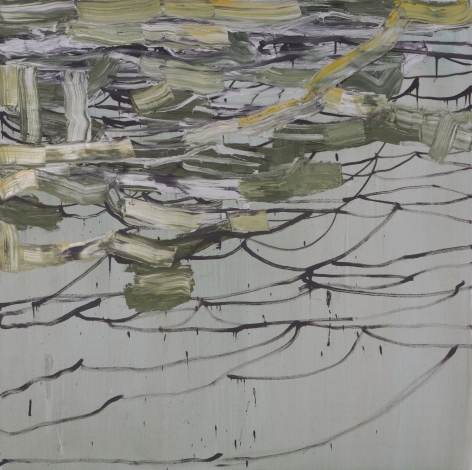 Evangeline began creating large-scale abstract oil paintings on canvas, layering crystallina, flocking, and other cultural detritus with her oil paints. 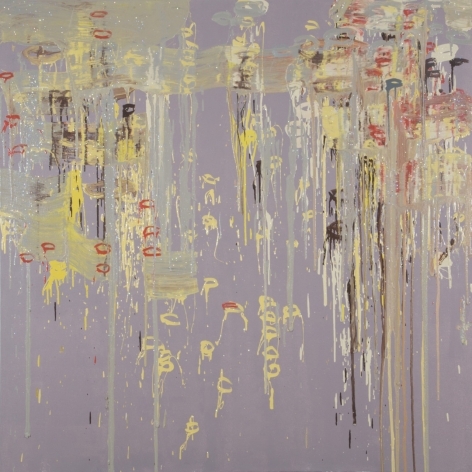 Working during the Persian Gulf War, Evangeline created a body of paintings that were intended as a response to the political turmoil internationally at hand, and the social issues particular to the environment of New Orleans. These works were the first in a long line of paintings and sculpture that Evangeline created to reflect on the cultural climate of our times. 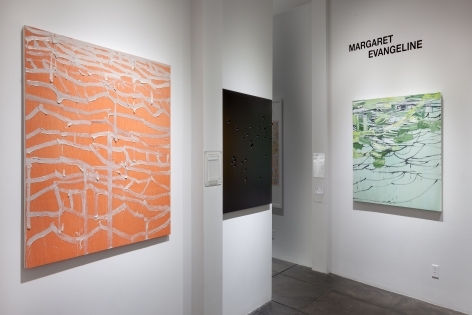 In 1992 Evangeline had her first show in New York City, a solo exhibition curated by Elizabeth Moore Fine Arts in conjunction with Res Nova Gallery. The exhibition was well received and went on to garner a particularly insightful review by Eleanor Heartney in Art in America. This experience had a profound effect on Evangeline and ultimately led her to permanently relocate to New York, where she continues to live and work today. 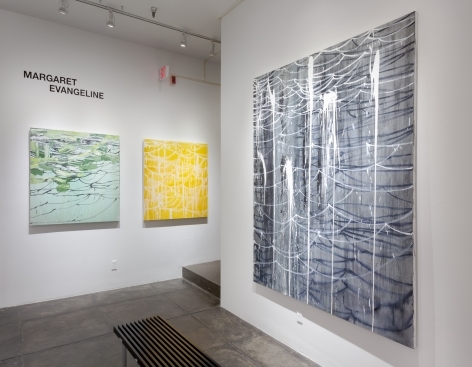 It was upon settling in Manhattan that Evangeline was able to begin processing the impact of the south on her work, and experimenting with the way in which location affected her practice. Today, the experience of growing up in Louisiana has come to define her work as an artist. During a residency at Art OMI in 1999 Evangeline borrowed a rifle from a local farmer and fired a single shot through a piece of metal. While for her grandfather shooting had been a means of survival, for Evangeline the process of shooting served as a direct line from her life in contemporary art to his experience, and that of his ancestral lineage of explorers, traders and gunsmiths. The long, circuitous history of Evangeline’s Acadian forebears, through the Hudson Bay down to Louisiana, forms a rich backdrop for her reflections upon and responses to current political questions, especially those centered on the gun. 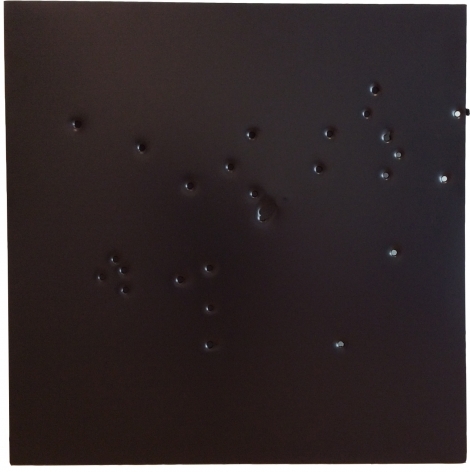 In 2002, during a residency at the Santa Fe Art Institute dedicated to supporting artists affected by 9/11, Evangeline began to further explore the act of shooting. Confronted by the vastness of the landscape and mired in the unanswerable questions left in the wake of the national tragedy, Evangeline began shooting holes in giant aluminum panels, engaging the landscape of the place through the absence she had created in the works, thereby finding a language to explore the collective loss the country was feeling. Evangeline’s work was most recently featured in the solo exhibition Sabachthani, which opened in 2014 at Michigan State’s new Eli and Edythe Broad Museum of Art. Evangeline began creating Sabachthani in 2011 as a collaboration with her son, then a lieutenant colonel stationed at a US Air Base in Balad, Iraq. Conceived of as a way to comprehend and process the war, Sabachthani features a series of metal bars which Evangeline mailed to her son and his unit in Iraq, in the year before the withdrawal of the troops. These active-duty soldiers shot through the bars using military ballistics before sending them back to Evangeline, creating a figurative dialogue between Americans and their distant war. 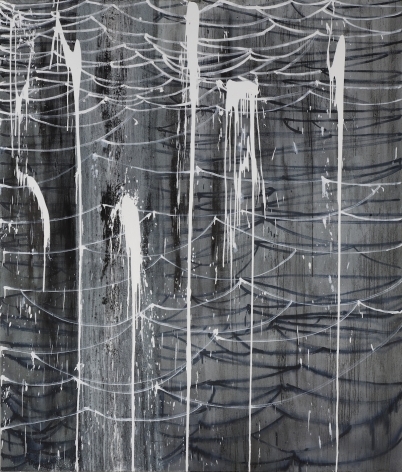 Today, Evangeline continues to expand upon this process, creating large and small-scale gunshot works using materials related to American labor and culture as well as exploring new modes of mark making in her diverse and ever-evolving practice.